Positive K released his only Top 40 hip hop single, “I Got a Man” in 1992 from his debut album The Skills Dat Pay Da Bills. Little known fact, Positive K raised the pitch of his voice with studio technology so that he could do the female vocals along with his male vocals. 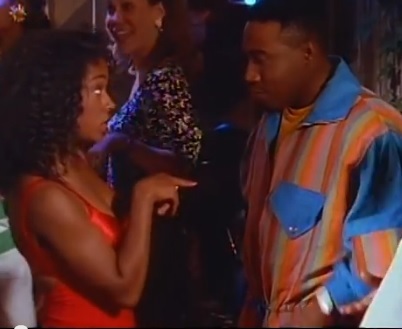 The song has a comedic element as a lady continues to reject Positive K, but he’s so persistent that he doesn’t care if she says she “got a man.” I’m sure many women can relate to this song as most of us go through this scenario on a daily basis. Fellas, if a woman says she’s in a relationship then respect it and keep stepping. Or, your conversation will sound similar to this song! Take a listen to today’s throwback, but please don’t be this guy! “But how you talkin’, pssshhh WHATEVER! Ayyyyee!” These dudes!